T'day I'm trying waterfall.py by keenderd the first time. You can download the script from here: https://github.com/keenerd/rtlsdr-waterfall. If you start the script with python waterfall.py 935000000 960000000 for example you'll get a result like the one in the picture above. 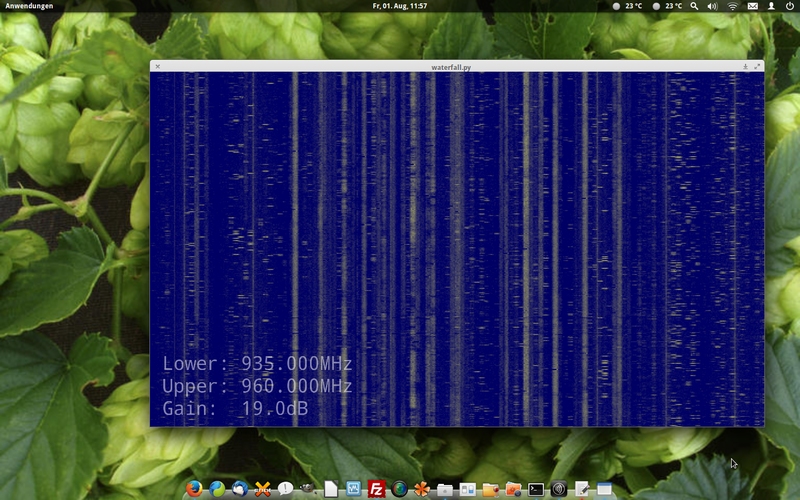 It's showing the GSM 900 band with hopping and non-hopping signals.